It is almost April and I am getting more and more tempted to spend time outdoors. 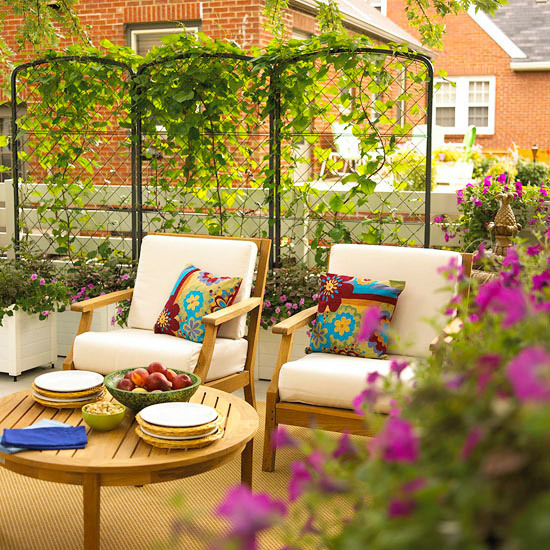 As I work towards resurrecting my backyard this lovely space has caught my eye. I like how fresh, green and beautiful it all looks! lovely!.. i haven't even begun to address the yard yet..this inspires me! That is really lovely. March had gone by so fast. These pictures are awesome and such inspiration for the outdoor living space I want to create. Living in the city sometimes I miss the outdoors that I was used to in the suburbs so recreating it would be a great place to escape to.